The King's School has contracted Top Marks as the supplier for school uniforms. Top Marks is a Canadian company that sources and manufactures its items in Canada. 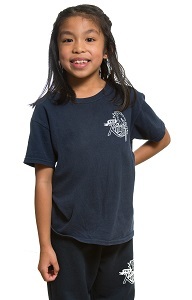 They have a stock of uniforms specifically for our school that are ordered online. To Order via Postal Mail, you may download an order form HERE. For more information on the school policies, please read the Uniform Policy. There is a Facebook group administrated by a volunteer parent where parents can sell or swap their children's old uniforms that no longer fit or that they no longer need. If you're interested in advertising your uniforms, or if you are a parent hoping to pick up a few pieces for your child, you can follow the link HERE and request to be added to the group to see what is available.